hi! 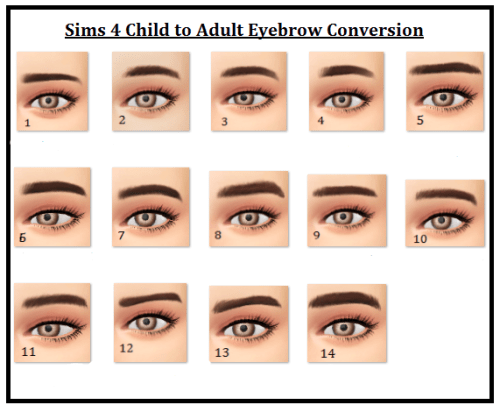 here are all of the sims 4 child eyebrows converted for adults! this is a pretty big post, so I’m going to leave the rest under the cut!